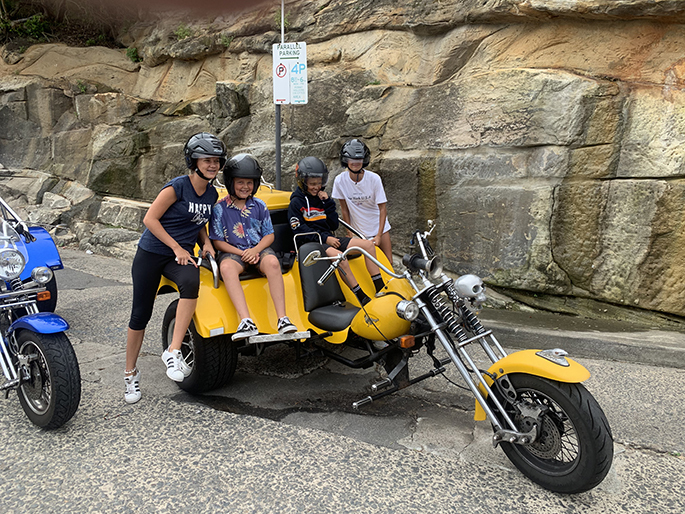 Wayne is living in Sydney at the moment and decided a Sydney Harley tour would show him parts of Sydney he hadn’t seen. It would also help his orientation of the city and inner suburbs. 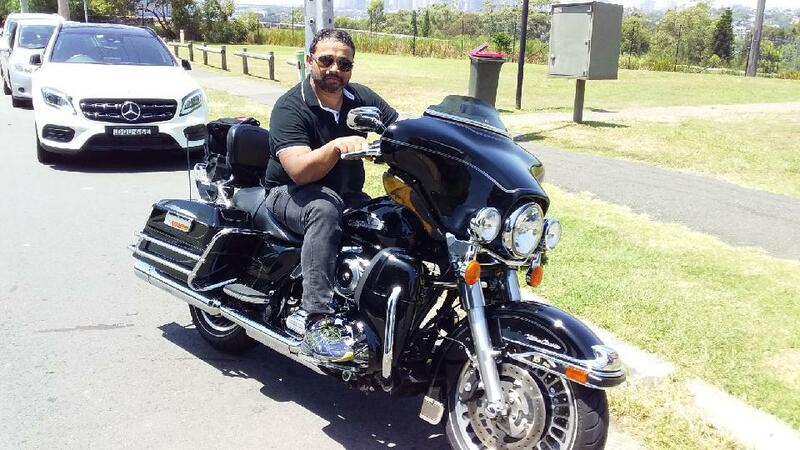 Perry picked him up from the CBD and took him on a tour around the city and the outer Sydney area. They did the 3 Bridges Tour with extra detours. The Sydney Harbour Bridge is always great to ride over. It is so impressive and famous. The lower north shore suburbs are nice to see and they join the inner west suburbs. The inner western suburbs has lovely English architecture dating back to the 1800s. 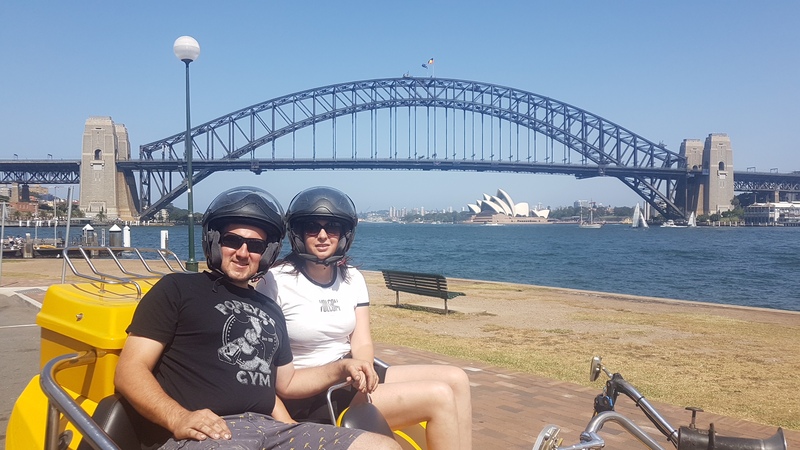 They went for a ride through the wealthy area of Hunters Hill and stopped to admire the view of Sydney across Parramatta River. It is from a perspective most visitors to our city don’t get to see. Hunters Hill is a suburb in the North Shore of Sydney. It is located nine kilometres (five point six miles) north-west of the CBD. The area’s Aboriginal name is ‘Mookaboola’ or ‘Moocooboola’, which means meeting of waters. Hunters Hill was named after John Hunter, the second Governor of New South Wales, who was in office between 1795 and 1800. The area that is now Hunters Hill was settled in 1835. One of the earliest settlers was Mary Reibey, the first female retailer in Sydney. Reiby Street is named after her. During the 1840s, bushrangers and convicts who had escaped from the penal settlement on Cockatoo Island would take refuge in Hunters Hill. In the early 20th century, there was an industrial area in Hunters Hill. One of the industries was a radium and uranium refinery operating from 1911 to 1915. The concentrated ore was transported over 1,200 kilometres (750 mi) from Radium Hill in South Australia, 100 km west of Broken Hill. At the time, uranium was considered a byproduct, but very small quantities of radium (which had been discovered in 1898) were very valuable. The area has many heritage listed sites as well as such an interesting history.